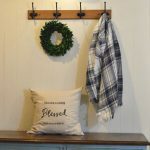 How to transform an old pair of exterior shutters into rustic farmhouse wall art with chalk paint. 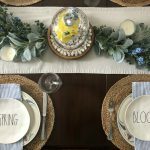 Do you love farmhouse style decorating? Me too! This DIY is all about creating a focal point of aged warmth and texture. This post contains affiliate links. If you click on an affiliate link and purchase something, I may receive a small commission, at NO additional cost to you. This project is one I had done a couple of years ago. These shutters have provided a focal point of aged warmth and texture in my dining room. These wood exterior shutters caught my eye when I saw them advertised on my local Facebook marketplace for $15. As soon as I saw the picture, the wheels in my head began to turn. What could I do with those? I had an idea and, of course, it involved chalk paint. I love to repurpose items and give them a new life. Using pieces in a different way can bring unexpected personality to your decor. Thrifted finds are perfect for the farmhouse style because their rustic imperfections only makes them look even better. Chalk paint is such an easy way to refinish a piece, create a chippy look, and make it even more farmhouse style. The first thing I did was give these a good cleaning and disinfecting before bringing them into our home. One of my favorite things about chalk paint is that it is pretty easy to prepare a piece. There is no need to prime. I did fill in the holes that were used to hang these with wood filler, and then I gave them a good sanding. I brushed on two coats of Annie Sloan Chalk Paint in Old White, giving each coat a quick sanding after its dry. This paint dries very quickly. Once the second coat of paint was dry, I added warmth and depth using Annie Sloan’s dark wax. I worked in sections, applying the wax with a wax brush. Then I wiped the wax away with a lint-free cloth until it was dry to the touch. 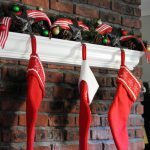 My husband, Andy, and I added some heavy duty hanging hooks to the back and hung them in our dining room. I love the texture and character that these shutters add to this room. Every time I walk in here, these bring a smile to my face. This DIY farmhouse shutter wall art is the perfect backdrop to vignettes for all seasons! Spring brought soft pastels and this free printable. Here the shutters provided a beautiful backdrop in the summer for this DIY Sign that Almost Wasn’t. 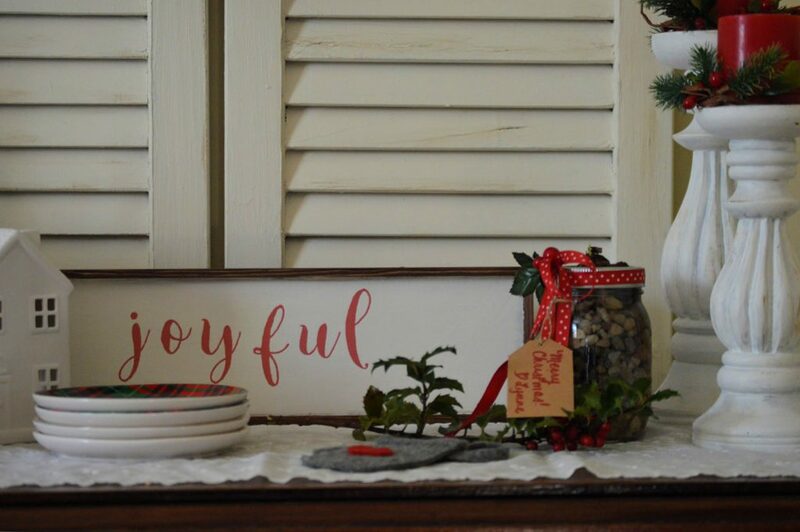 At Christmastime, the pretty paperwhites and DIY stenciled sign popped against the shutters. So the old saying is true…one man’s trash really is another’s treasure! Beautiful! I’m in love with your shutters, it adds such warmth and coziness to your home. It’s a simple touch that matches perfectly for all seasons. These turned out nice, Lynne.! I love how you’ve used them in your living room. I have two old shutters I picked up some time ago with plans for painting. Seeing this project has inspired me to pull them out and get started. Thanks for joining us and sharing at Homestyle Gathering. 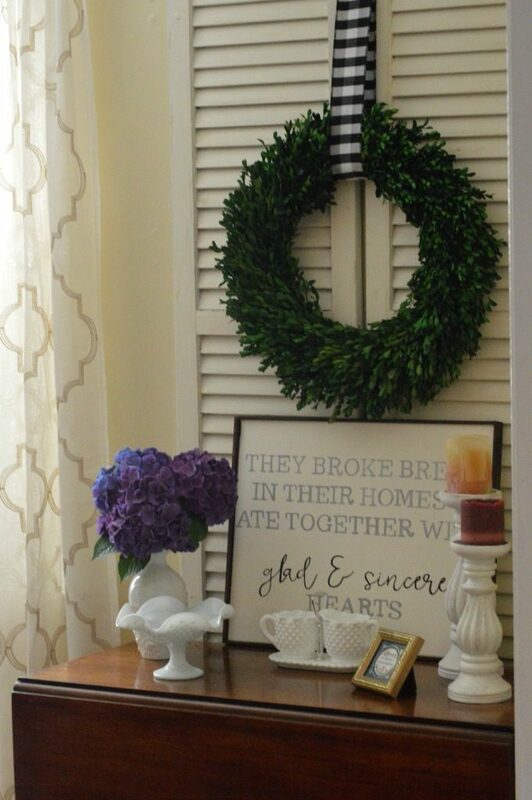 I love using shutters for decor too! They make the best backdrops! Great job! 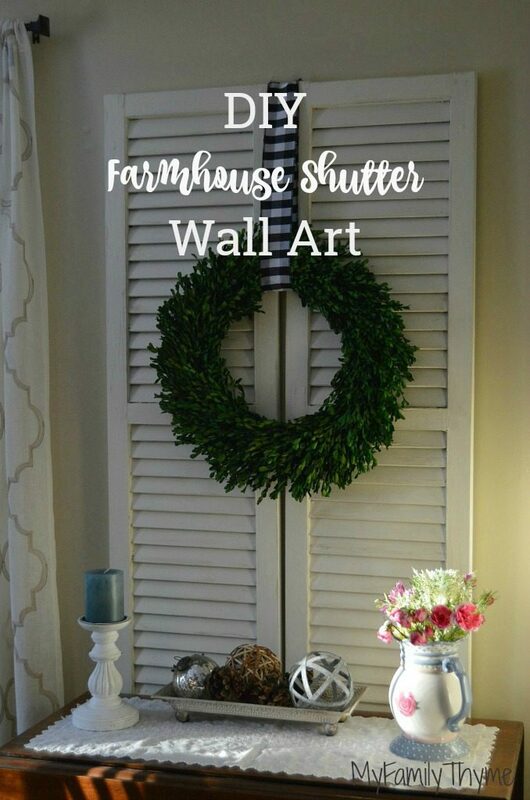 I happen to have two shutters in my basement and you have given me some inspiration on how I can use them. Thanks!!!! These are just lovely, Lynne! I’m going to be on the lookout for some of the shutters! Thanks for sharing your project at Homestyle Gathering! Hugs, dear friend! This is such a beautiful idea! I’m sitting her thinking now about where I can add my own shutter art. It really makes the area so warm and cozy and that is always what I want for my home. I am a big fan of shutters. 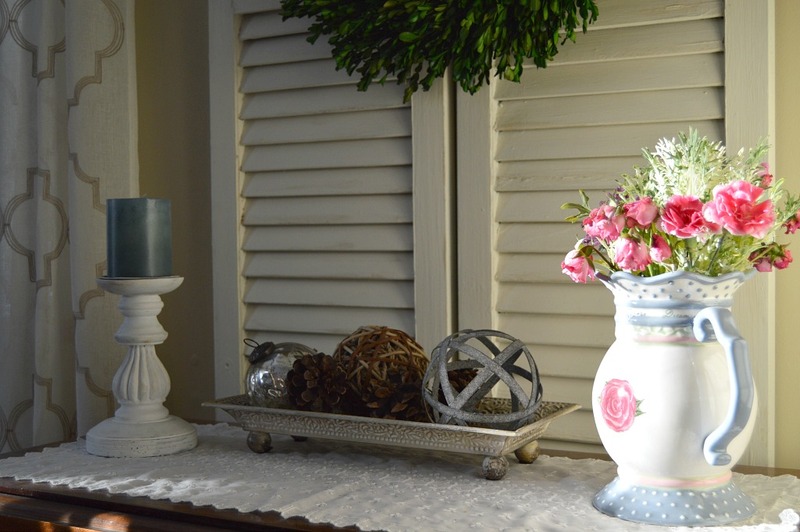 They create such a nice backdrop for your wreath and seasonal vignettes. I am a big fan of shutters. They are such a nice backdrop for the wreath and other seasonal vignettes. 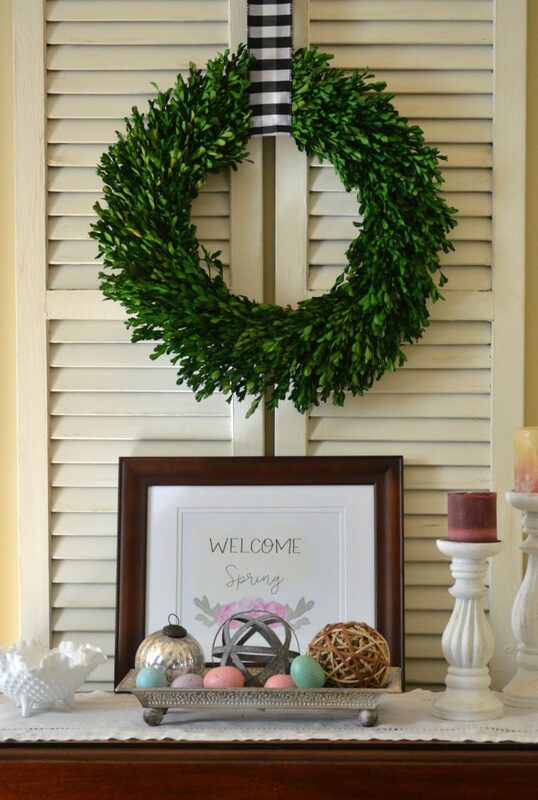 Love how you use old shutters to decorate for different seasons! So pretty! There is something just so homey about shutters 🙂 These turned out beautifully! I love this. 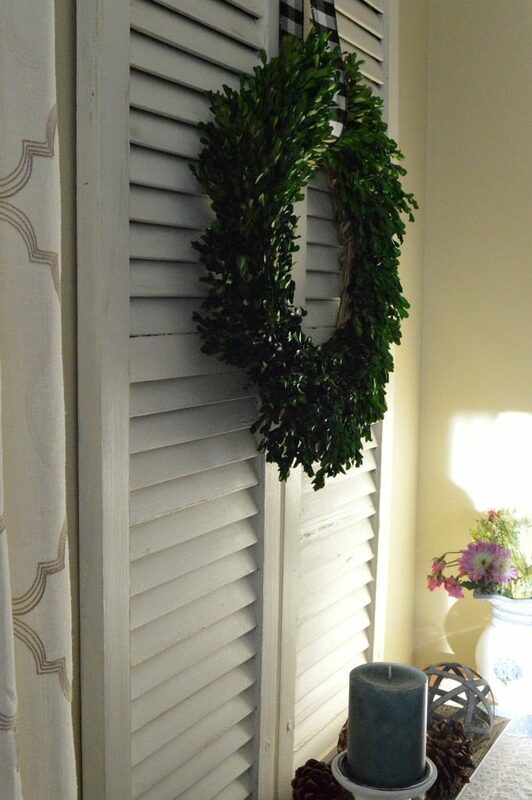 Shutters are great for decor but they are hard for me to find in my area. I scored at one garage sale a few years ago and got 6 of them for $5! You did an amazing job on these. It turned out beautiful! Thank you for sharing at The Really Crafty Link Party. Pinned! What beautiful transitions from trash to treasure. They look beautiful. 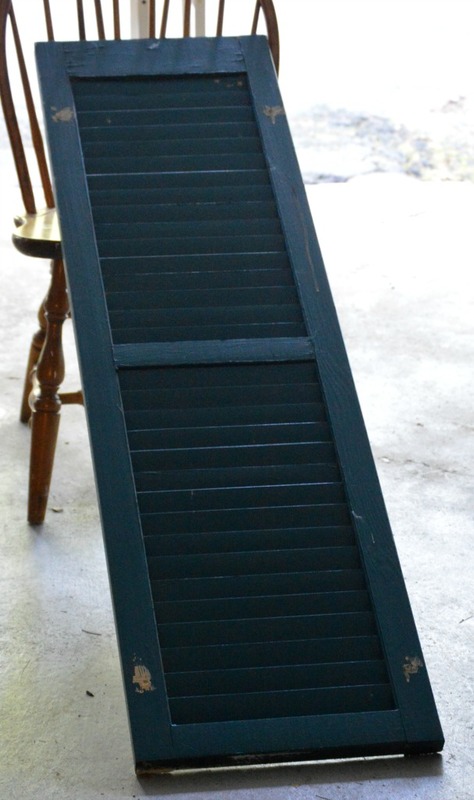 I always see shutters at our local re-store and never thought of using them in such a cute way! They look great!